The course covers approximately 10 miles over beautiful downland taking in Ladle Hill and Beacon Hill with plenty of optional jumps for all abilities. There is an optional shorter route. Every line of jumps and the one road crossing will be stewarded. A rosette will be presented to every rider and a photographer will be on the course. 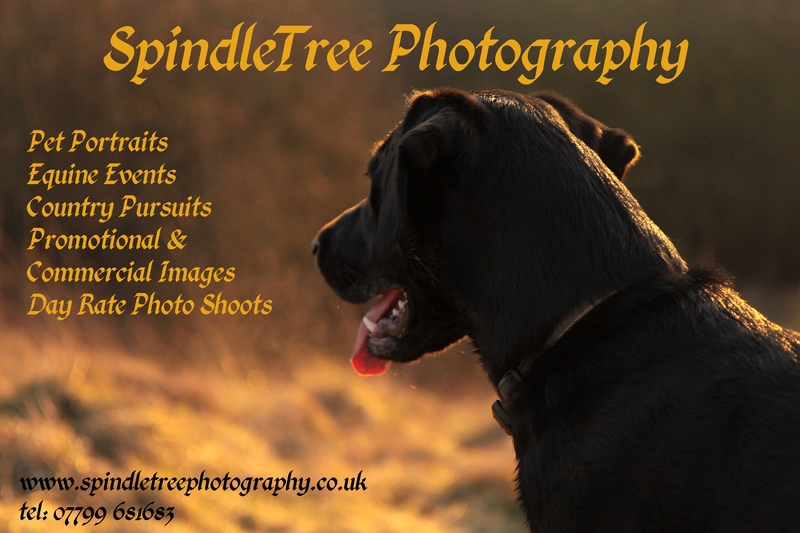 The photographer for the Kingsclere Ride on 14th April was Spindletree Photography - see below for details. Our very own Emma Welling has a website www.spindletreephotography.co.uk selling her wonderful photographs. For more information see her advertisement in the 'Classified' section. 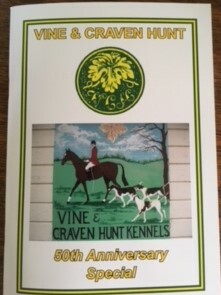 2018 marks the 50th Anniversary of the formation of the Vine & Craven Hunt and to mark the occasion a book has been produced containing reminisences of the last 50 years. It was officially launched at the Hunt Members AGM on July 30th and is now on general sale. The book is fully illustrated and extends to 60 pages. The price is £15, discounted to £10 to Hunt and Supporters Club Members if bought before the 2018 Opening Meet. The book will be available at all Hunt and Supporters Club events, Newbury Show and meets from Peter Inch. For postal copies please contact vchtreas@btinternet.com and add £2 to cover postage. Vine & Craven packs of 10 notelets for just £5. Two different photographs take by Emma Welling. Perfect way to write your thank you's, so much nicer than an email. Available through Joanna McCall Email: joanna@mccalldesign.co.uk or at meets etc. If you are looking for an original present a map of the Vine and Craven Hunt (see below) or a print of the Craven Hunt country (for details go to the Supporters Club section) would be an ideal choice. Fabulous hand-drawn map of the Vine and Craven Hunt country drawn by the clever and talented Kirsty Adams. A must have present for everyone in the hunt.This beautiful map was inspired by the 16th and 17th Century maps of John Speed and Abraham Ortelius. The price of £55 includes the map mounted and ready for you to frame. All proceeds go to the Vine and Craven Hunt.